Easily customize your ingredients and portion size on the menu page. Your meals are cooked fresh daily using all natural ingredients. 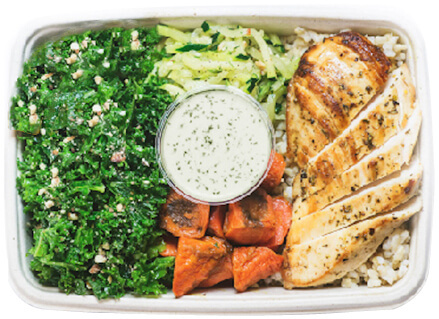 Your meals are delivered vacuum sealed in microwave-safe meal trays. Perfect for a quick and healthy meal.